Here in Texas, summer storms happen whether you are ready or not, especially these last couple of years and when there’s a big one; it usually makes national news. We can get hit pretty hard with not only thunderstorms during the summer, but also flash flooding, tornadoes and even hurricanes if you’re in the “right” part of the state. Needless to say, we prepare for summer storms because if you’re not ready; you may just find yourself in a very, very bad situation. 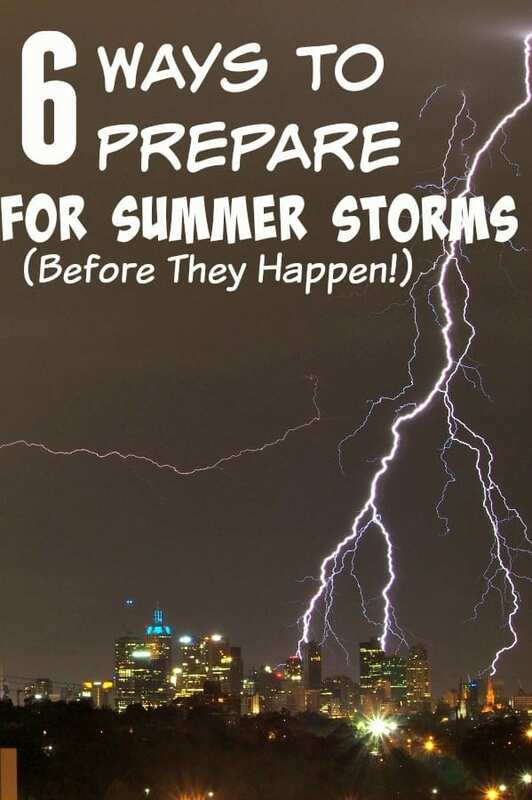 Learning how to prepare for summer storms isn’t too hard and honestly, it’s a lot like practicing emergency preparation for any situation, but you’ve got to be willing to actually do the work involved. When you first start to prepare for summer storms, you’ll want to determine what types of storms you’re actually looking at so that you can prepare for only the ones that may affect your family. After all, it doesn’t make much sense to prepare for hurricanes if you live too far inland. Take a look at what type of weather your area actually gets during the summer. Do you get a lot of rain making flooding a concern? Do you live in tornado alley making a twister your biggest concern or are you on a coast where a hurricane is likely? Once you know exactly what type of weather you’re preparing for, you can begin the actual process of emergency preparation for it. Keep in mind though as you’re preparing that each family will have different needs. It doesn’t make sense to prepare in ways or with items that don’t make sense to for your family. The tips below for preparing for summer storms are meant as a guide. Use what you need and leave the rest, but never consider that this is everything you should do. There will almost always be something more that you need to prepare for or with that isn’t mentioned here. After you have decided what your biggest summer storm threat is, you’ll need to decide how long you want to prepare for. Most summer storms don’t result in a long lasting emergency, however, things such as powerful tornadoes or intense hurricanes can and often do lead to emergencies that last weeks. You can’t begin to prepare for summer storms if you haven’t got the foggiest as to how long you need to prepare for. The very first thing you should do when you are just beginning to prepare for summer storms before they happen, is to make absolutely certain that you have more than enough safe, potable (drinkable) water on hand. You can do this two ways. First, get a filtered water bottle like THESE that will filter out not only for taste but for impurities too. If you would rather have the ability to filter larger amounts of water, picking up something like a Big Berkey like THIS one can be helpful instead. The second sure-fire way to make certain your family has enough water is to store it now in specially designed water storage containers like THESE. I know it may seem silly to fill water containers now, but the honest truth is that water is life -especially if you live in a climate like we have here in Texas – and it can become undrinkable (or not potable) at any time. There are a lot of ways that a storm can cause your water supply to suddenly become bad and they all usually happen in an instant. In 2008, the city that my Emma and I lived in had some major river flooding. River water had gotten into the city water supply and suddenly there were 100,000+ people without access to clean water. Bottled water flew off the shelves before you knew what happened and FEMA had to bring in water for all of us. Tornadoes, hurricanes, drought or any other major storm issue can all cause your water to no longer be drinkable so having a way to filter it could literally be the difference between making it through an emergency intact and not. Ideally you’ll want to store 1 gallon of water, per person in your family, per day that you’re prepping. This means that if you only have one person in your family, you would need a minimum of 14 gallons of water for a 2-week period. In addition, you’ll need to prep for your pets too. The recommended amount of water storage for pets is typically 1 oz per pound of body weight per day. In other words, a 5 lb cat would need approximately 5 oz of water per day minimum. Finally, make sure you store water for cleaning and keeping things from getting funky. Dirt and grime lead to bad things in an emergency so doing so may be the only way to keep your family from getting sick. In this post HERE, I show you how I store non-potable water for cleaning without buying any special water containers. Preparing for power loss before it happens is the only sure fire way to make sure that your family will still have light if the power goes out. Keeping things like emergency candles, water-proof matches, flashlights and even a propane camping lantern on hand will give you a head start on any dark nights. If you’ve got kids, you might want to consider a “character” flashlight for them. Having their favorite “friends” nearby may make the dark a bit easier to handle for them. If you want to prepare for a power outage even more, you can check out THIS post with 23 ways to prepare for a power outage. You can save money on power outage preps by learning how to make homemade emergency candles such as THESE or making waterproof matches yourself. To do so, take a regular strike anywhere match and coat the match head in paraffin wax. It will keep the match dry but still allow you to strike and light the match. One other thing you may want to consider is buying an emergency gas and water shut off tool to have on hand so you can shut off any gas valves at your house, water mains and so on if the power goes out. Leaving them turned on could create an explosive danger for your family. Having a 72-hour kit on hand (also called a bug out bag) is a must have for every member of your family and not just when you prepare for summer storms. Don’t let the idea that you’ll need to “build” one scare you since it’s fairly easy to learn how to build an emergency kit on a budget. You’ll want to make sure that you include 3 days worth of clothing, food, and water plus copies of your ID’s and a bit of cash. Having a flashlight in here is a great idea too and you may also want to consider picking up a LifeStraw Personal Water Filter to keep in your 72-hour kit as well. For the ladies, make sure you’re keeping feminine products in yours too since you never know when an emergency will happen. I highly recommend cloth for a lot of reasons and if you’re looking for a great brand, Tree Hugger is a great place to start! The reason I recommend cloth pads and a wet bag when you preapre for summer storms is that in the wrong situation, a bunch of disposable feminine products lying around as trash could cause serious issues with disease. Look at Hurricane Katrina and the Super Dome as an example of what I mean. With cloth, as long as you have a little bit of water and soap, you can wash them out and dry in the sun keeping yourself and your product clean. If you have kids, make certain to put a duplicate of their favorite toy as well as some items to help keep them occupied when they’re bored in their 72-hour kit. Things such as a deck of cards, coloring books and crayons, used copies of their favorite books and more can make the difference between a child who has a meltdown and a child who is scared but calm and distracted. I’ve said it before but I’m going to say this again. You absolutely do need to be storing extra blankets for an emergency even if you’re storing them to prepare for summer storms. You never know what will happen in a summer storm and the last thing that you’ll want is to end up cold and wet or in serious need of comfort. Having an extra blanket or three on hand can help with those situations. They also give you the chance to build a barrier between your head and anything that might damage you, to block winds a bit and more. Make sure that you store them in a vacuum sealed blanket bag or tote and that you keep them in a dry place so that you don’t end up with mildew or mold issues during an emergency. Again, if you have kids and they have a favorite blanket, take the time to add an identical copy – if possible – to your blanket storage. If, during the hectic aftermath of a storm – they lose theirs, you’ll already be prepared. If the power is out, you’ll need a way to cook food for your family so make sure you plan for this when you prepare for summer storms. After all, you may have taken the time to build a stockpile, but if you can’t cook the items in it, it won’t do you much good. This can be using cast iron to cook on an open fire, a charcoal grill and charcoal, a propane grill or whatever you want. This is especially important if you have kids since they will thrive on “the normal” parts of daily life. Being able to feed them at least semi-normally will help keep them calm. Don’t forget to pick up any specific cooking items you will need as well. If you plan to cook on an open fire, make sure you buy a cast iron skillet or buy a cast iron dutch oven so you can cook. If you’re planning on grilling, picking up a BBQ set is helpful. In an emergency, you will likely be stressed so anything you can do to make your life easier is worth doing. Thrift stores can be fantastic places to get cast iron. If it’s rusted, go ahead and grab it. Learning how to clean cast iron isn’t hard and even rusty cast iron is still good for decades. Finally, if you live in an area that frequently gets high winds or worse during the summer, you’ll want to prepare for summer storms to hit your home as well. These emergency preparations should always be done after you take care of what you will need for your family, but consider things such as plywood sheets for the windows to help keep wind and debris out, large blue tarps for helping to cover other areas, moving blankets to help create padding for breakable items and other emergency preparations in that general area. 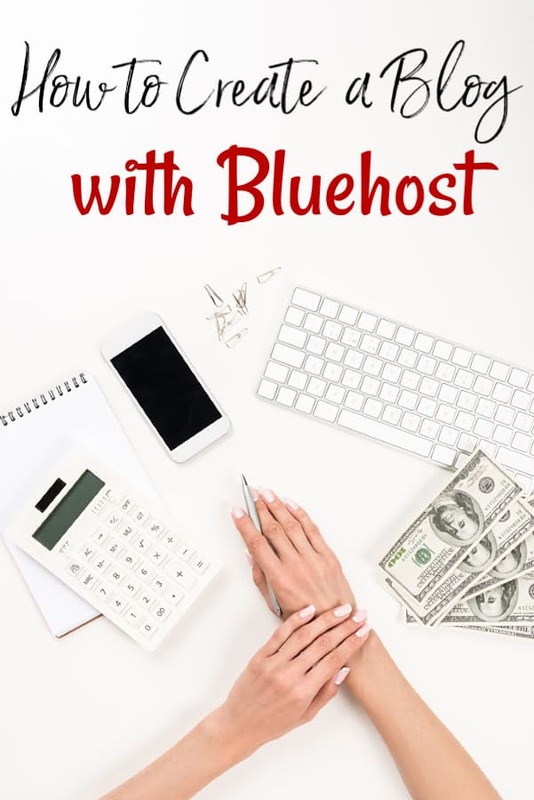 They may not save your home from all damage but they will help lessen the damage it takes and that can be the difference between having a home to come back to and living full-time in a hotel for weeks or longer. Do you have any other ways to prepare for summer storms? I’d love to hear them as well as your experiences with any severe weather during the summer! After all, the biggest preparation that we can all do is to learn from each other.